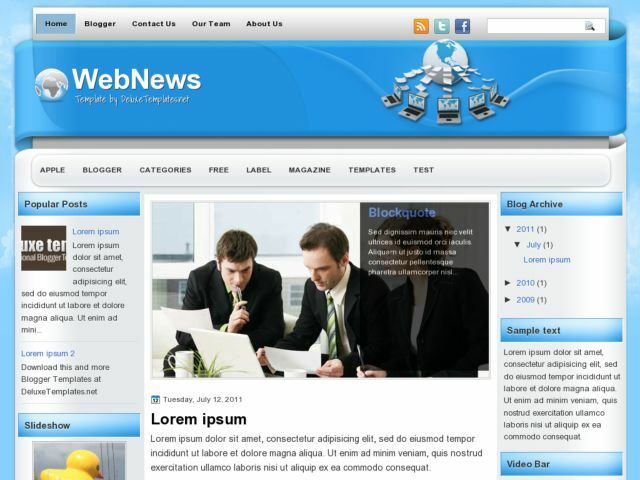 WebNews Blogger Template is a free magazine blogger template with 3D design. Template features : 3 columns, left and right sidebar, magazine template, featured posts, slidshow menu, twitter and facebook icons, rounded corners style and more. This template suitable for blogs about business or finance.